Tiger Woods went back to Mitsubishi's Diamana D+ White Board shaft during the playoffs. With the PGA Tour season ramping back up this week at Kapalua for the Sentry Tournament of Champions, it's once again time to start pinpointing some of the notable equipment trends in professional golf — beginning with driver shafts. Driver shaft usage on Tour can be a bit unpredictable. With some players testing different shafts on a semi-regular basis, it's not uncommon for a particular shaft to go from being a relative unknown to a trend in a matter of weeks if a player or two catch fire. In an effort to pinpoint what's trending on Tour in the driver shaft space, we'll provide a recap each month on the Tour buzz surrounding five different shafts, as well as a few others just outside the top-5 that gear-heads should keep an eye on going forward. We start off by looking at five shafts that deserve our attention as the season restarts. Jason Day currently uses Accra's TZP prototype driver shaft. The prototype has been making noise on Tour over the last few months and counts Jason Day as its most high-profile convert. That's in addition to Martin Kaymer, Pat Perez and a handful of other names. Cameron Champ even gave it a spin during the Tour's stop in Las Vegas. What makes TZP stick out from the pack is the fact that it was designed to perform like steel with a softer tip section and very low torque — a blend that's sure to appeal to those with high swing speeds. With a high launch and low spin, the shaft is geared for those searching for extra stability. Accra as a whole is trending upward on Tour at the moment. That could continue with TZP leading the way this year. Rickie Fowler switched to Graphite Design's Tour AD IZ driver shaft. Jordan Spieth. Rickie Fowler. These are just a few of the notable names with Graphite Design's Tour AD IZ shaft in the bag. 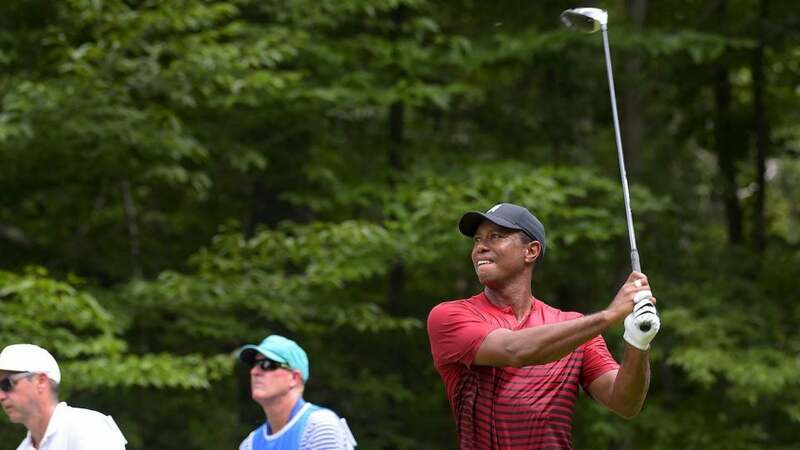 Tiger Woods put Graphite Design's Tour AD series on the map when he switched to AD DI 6X back in 2010, and with names like Spieth and Fowler using the new IZ model, which was released in 2018, it looks like shaft manufacturer's successful run on Tour will continue. What Spieth and Fowler both like about the shaft is how it curbs spin with a stiff tip section while producing a higher launch angle through a stiff handle and slightly softer midsection. Additional carry distance will make any player stand up and take notice. Project X HZRDUS Smoke driver shaft. Project X HZRDUS Smoke Black has been the answer for Tour players who claimed the original HZRDUS Black was too stiff for their liking. With a slight counterbalance and higher torque, Smoke still generates low launch and spin numbers — you just don't need to worry about having Dustin Johnson-esque speed. Bryson DeChambeau dabbled with Smoke briefly during the summer, and Keegan Bradley added the shaft to his 3-wood prior to winning the BMW Championship. Given how popular HZRDUS Black has been since it launched on Tour, a more playable version appealing to a broader range of players has the potential to be something special this season. Tiger Woods returned to Mitsubishi Diamana D+ late in the season. Mitsubishi Diamana's White Board shaft already has a fervent following on Tour. But getting Tiger Woods back on board — he added the shaft to his driver, 3-wood and 5-wood during the playoffs — after a brief hiatus is the kind of bump that's worth watching. Woods' win at the Tour Championship came so late in the year that it was all but impossible to track a potential bump in usage on Tour. If he gets off to a hot start and the driver plays a part in his success, you better believe the competition will take notice and give White Board some consideration. Fujikura's newest shaft went through a soft launch during the wraparound portion of the Tour schedule — starting at the Safeway Open — and saw just a couple of players (Andrew Landry and Cody Gribble) give it a shot. Fujikura Tour rep Pat McCoy noted the slow start was due in part to having just a few events to showcase the shaft. With everyone coming out of hibernation in the coming weeks, McCoy anticipates a significant increase in Ventus testing. Cameron Champ reportedly took home a Ventus shaft to test during the brief winter break. Built for players with high swing speeds, the low torque shaft reduces twisting at impact for a tighter overall dispersion. For the growing list of bombers on Tour, Ventus should be in the mix during testing. Others to watch: The new kid on the block, DeChambeau had a career year with TPT's new driver shaft. What's in store for this year? ... Rory and Tiger no longer use the counter-balanced Mitsubishi Tensei CK Pro Orange, but Justin Rose still gives it some high visibility. ... Updated version of Aldila's Rogue Silver 130 M.S.I. has been gaining traction since it launched on Tour.